All our courses are taught by English, native speakers, Cambridge qualified and are suitable for anyone who wants to improve their overall level of reading, writing, speaking and listening. You will study grammar, vocabulary and pronunciation and consolidate this with practical classroom and homework tasks. We run all levels from Beginner, Elementary, Pre-Intermediate, Intermediate to Upper Intermediate and Advanced. Courses run every Monday, Wednesday and Friday, throughout the day, depending on your level. You don't need to wait to study either as you can start at the beginning of ANY week. If you would like to enrol, then please come to the offices between 9 am and 5 pm to take a short, FREE test to determine your level. For more information please do not hesitate to contact us on 01 4441935 / 4434310 or 9801074158. Up to NRP 1500/- OFF!! Are you a working MEDICAL PROFESSIONAL ? Bring your qualification certificates or work contract and you can study on our IELTS Preparation Course (worth NPR 8500/-) for just 7,500 NPR - bring a COLLEAGUE and study for 7,000 NPR each !!! That's up to 1,500 NPR discount on our regular prices. You will be taught by Cambridge qualified, native speaker Trainers with many year's experience of preparing students for their IELTS exam. You will take all four parts of the IELTS test and receive feedback on your speaking and writing from a native speaker Trainers. You need to register your seat for 6 days a week (Monday to Saturday) morning at 10 am. 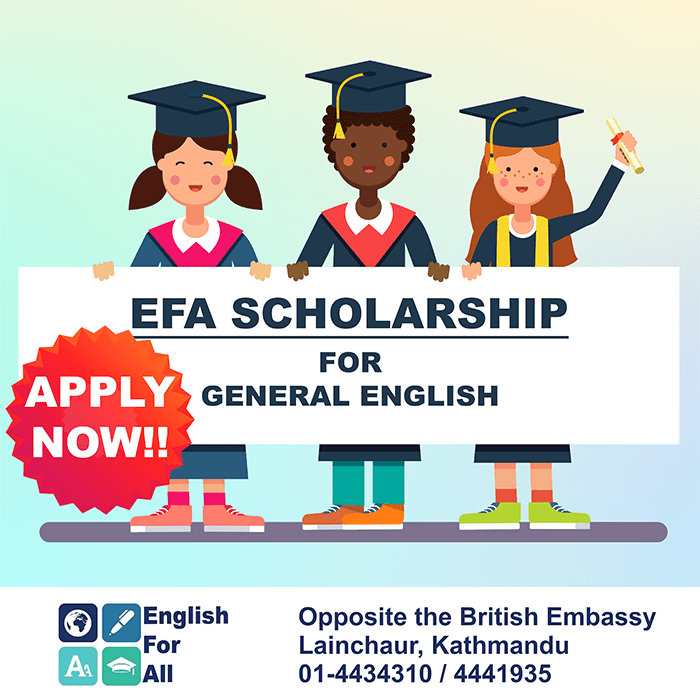 After 6 years of trading in Nepal, English For All has launched a scholarship programme. Using donations we provide free English classes to those that want to learn English but cannot afford it. Our prices are reduced to encourage funding and study is cheaper the longer the time frame. If you would like more information you can call us Facebook us or you can email us on englishforallkathmandu@gmail. Thank you for your support. Offer to our Students Only !!! Attend 13 out of 15 classes CONSECUTIVELY and on TIME and get one of the following benefits as mentioned. You must get your Log Book Stamped every time you attend class. 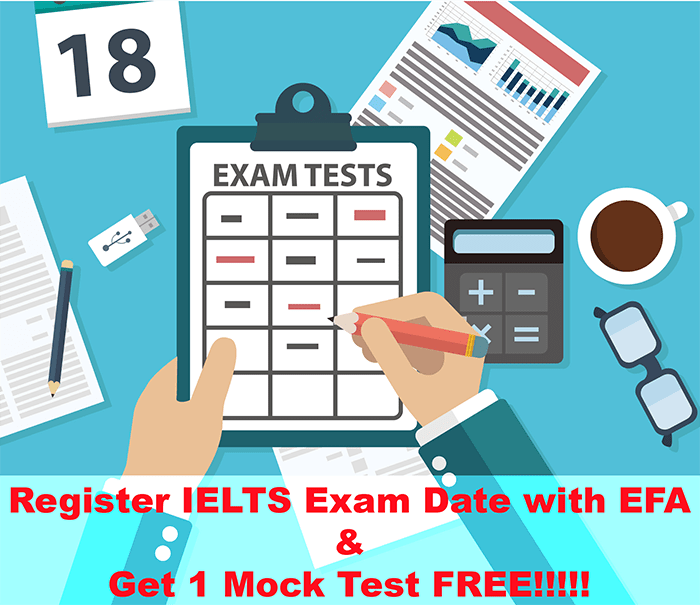 Are you worried about taking your IELTS exam and would like some practice and feedback from a native speaker IELTS Trainer on your writing and speaking? If you would like to take part then you need to call us on 4441935 to reserve your seat. Seats are limited for each test so we work on a first come first served basis.